Modern and stylish, this Artistic Weavers Parana area rug is a quality accent piece. Keep the contemporary look in your home with this indoor piece crafted from plush wool material. Bring this hand-made rug into your home for a durable interior design option. This geometric patterned grey rug makes a bold statement in your hallway, dining room, or even living room. Place this Artistic Weavers Saffre area rug in your dining room when you need a splash of style. Modernly designed with you in mind, this plush wool indoor rug will be a great addition to your home. The hand-made construction of this area rug is both modern and comfortable. This off-white rug has a fashionable trellis pattern to add some flair into your home. Parana Grey 5 ft. x 8 ft. Indoor Transitional Rectangular Area Rug Modern and stylish, this Artistic Weavers Parana area rug is a quality accent piece. Keep the contemporary look in your home with this indoor piece crafted from plush wool material. Bring this hand-made rug into your home for a durable interior design option. 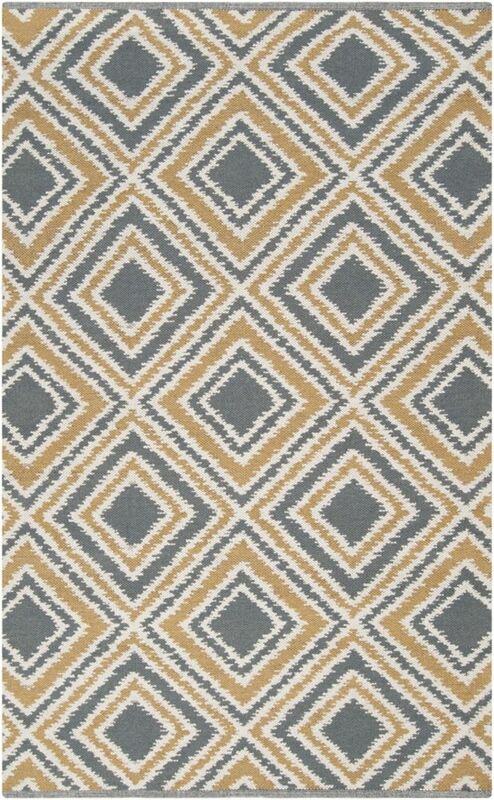 This geometric patterned grey rug makes a bold statement in your hallway, dining room, or even living room.